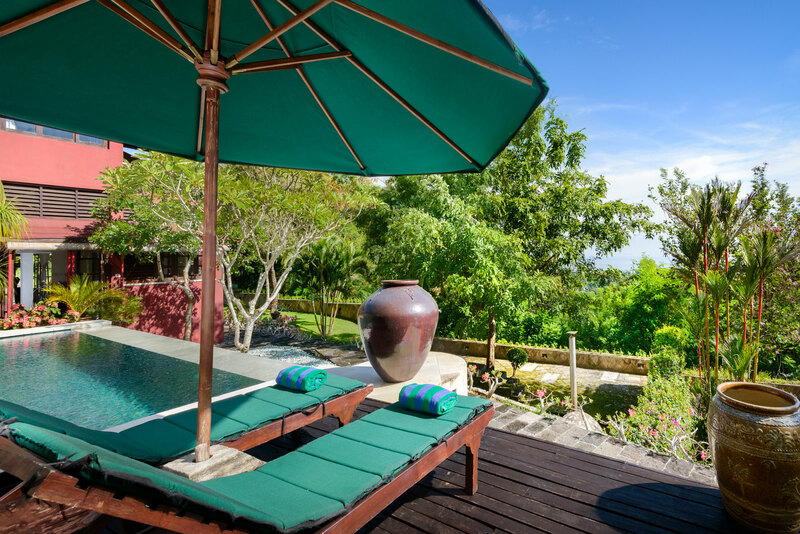 Located on a private hilltop in Pecatu, Bukit Jimbaran Uluwatu is where you will find Canang Sari villas with amazing and unobstructed panoramic views to the Indian ocean and southern Bali! You’ll be captured by the beautiful Bali scenery from the highest land in South Kuta! On a clear day, absorb the exquisite views of the magical volcano, Gunung Agung right from your villa. The beautiful beaches of Bingin, Impossibles, Padang-Padang, Balangan and Dreamland are all conveniently close by and for surfers, this is an ideal location with these being the most famous surf breaks in Bali. The setting is peaceful and relaxed at Canang Sari with the villas being away from the hustle and bustle of the tourist areas. You’ll find the villas are all quite unique in design, layout with larger than your average living areas, offering a flexible solution for families, groups, friends, special occasions, events or for any celebration. Our staff will provide you with warm Bali welcome and personalise your time with usto ensure a memorable and comforting stay at Canang Sari Villas - Bali! 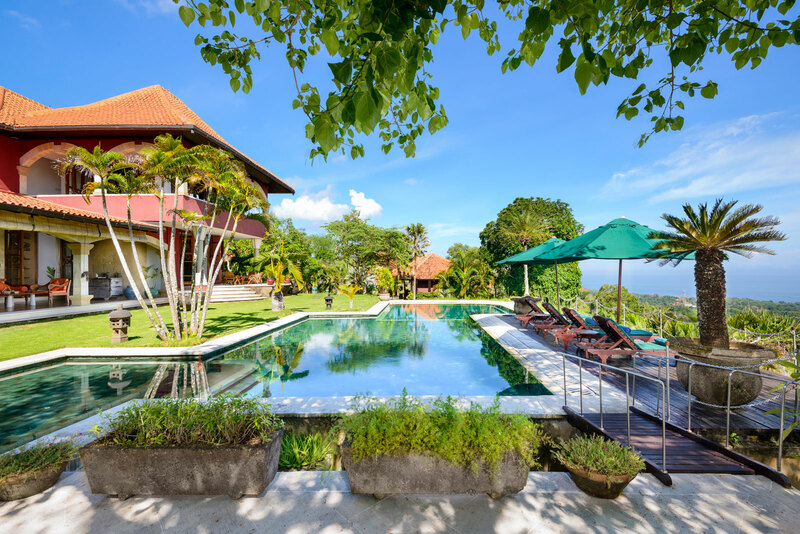 Villa Melati is the most spectacular villa of all being situated on the highest point with 5,000 M2 of private landscaped garden with stunning panoramic ocean and bay views. This makes it a beautiful setting for a wedding or event. Villa Jepun has a very spacious layout. The bedroom, living area and kitchen dining are separated in their own private areas giving you space and privacy. The large living room in the middle of the layout has two beautifully designed bedrooms on either side. Villa Akasia is situated on a hillside with a split-level design. The upper level houses the two air-conditioned bedrooms and one large shared bathroom. A few steps below is the lower level with a large living room, bathroom, shower, work desk area and kitchen. 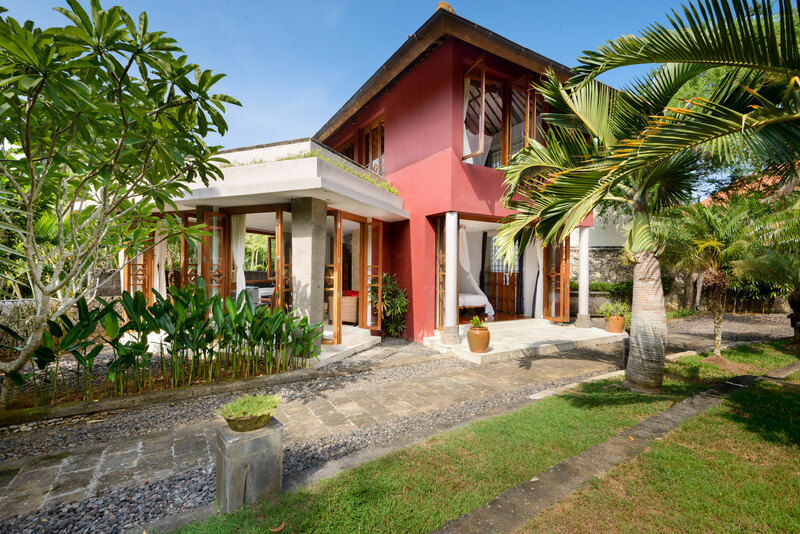 Villa Anggrek is a 2 story villa and the smallest of the villas at Canang Sari. 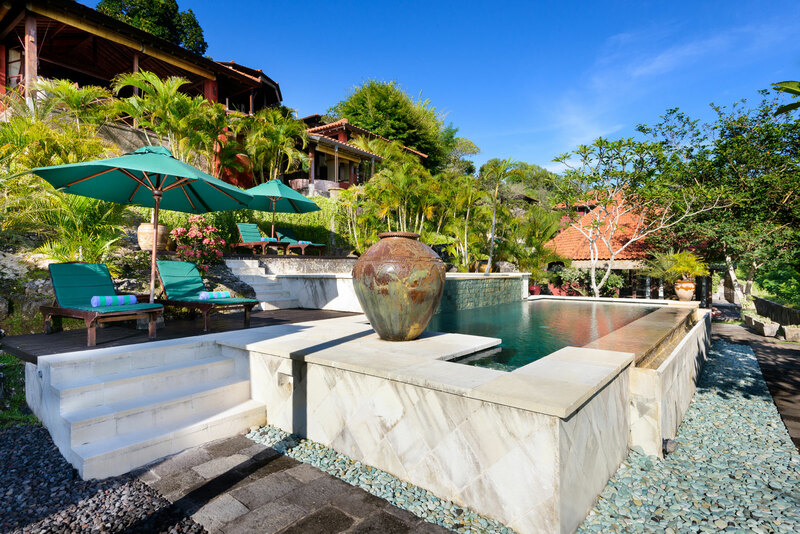 From this villa, you have very easy access to Canang Sari Spa. You have outdoor seating looking out onto an open peaceful garden area. There is 1 bedroom downstairs and 1 bedroom upstairs. Enjoy a relaxing moment at Canang Sari Spa where our Balinese therapists & traditional massages will awaken your senses and relax your mind… Come and forget your worries ! We will take care of everything ! Come and live the dream with Canang Sari and it’s panorama, where you will experience a Honeymoon like nowhere else for an outstanding and magical moment with the one! 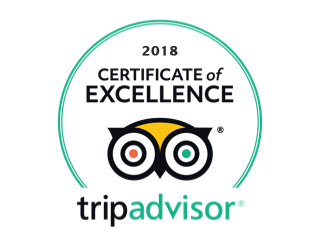 Looking for a memorable and comforting stay ? 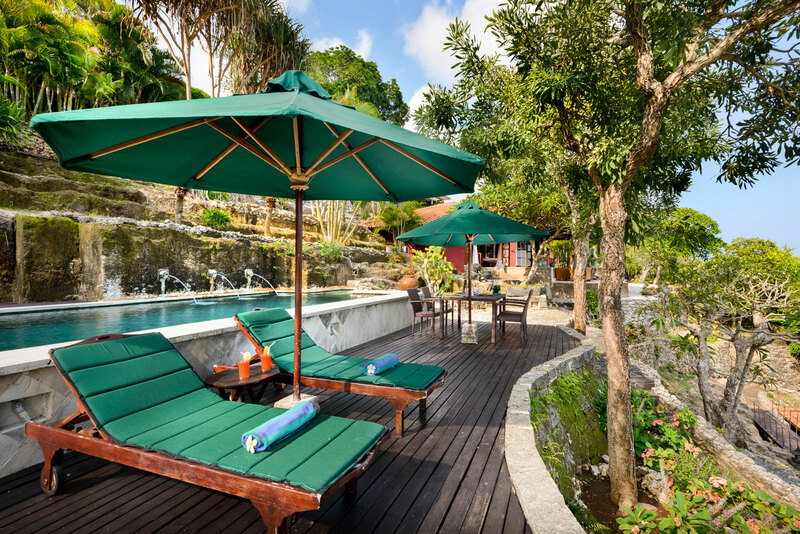 Canang Sari Villa’s will provide you with the best hilltop of the Bukit Peninsula, the iconic beauty of Bali ! Sweet romance and a deep relaxation will insure you an idyllic stay with full privacy. Canang Sari Villas are situated in the Bukit Peninsula, 30 minutes away from the Airport, in South Bali. Canang Sari is a combination of the quietness of Ubud, the beautiful beaches of the Bukit and the incredible view of Bali from the highest level of the peninsula, that you can enjoy from your private pool. The Uluwatu Temple, called Pura Luhur Uluwatu, is one of the most famous temple of Bali, and it is only 10 minutes away. The villas are surrounded by International Surf Beaches that are within 5 and 10 minutes away. Uluwatu Beach is the most famous surf break in Bali, where all the professional surfers go. International Surf Championships take sometimes place in Padang Padang, the closest beach from Canang Sari Villas. However, if you are an adept of night life, beach parties will be easily found in this area. It is surrounded by Beach Clubs and Clifftops, from where you can see the best sunsets of Bali. Kuta and Seminyak are also at one hour drive from the villas. Located on a private hilltop in Pecatu, is where you will find Canang Sari villas with amazing and unobstructed panoramic views to the Indian ocean and southern Bali you’ll be captured by the beautiful Bali scenery.